The UN chief has called a new Israeli airstrike on a Gaza UN school that killed 10 and injured 35 a "moral outrage and a criminal act." Ban Ki-moon called for investigation as official death toll keeps rising. "This attack, along with other breaches of international law, must be swiftly investigated and those responsible held accountable. 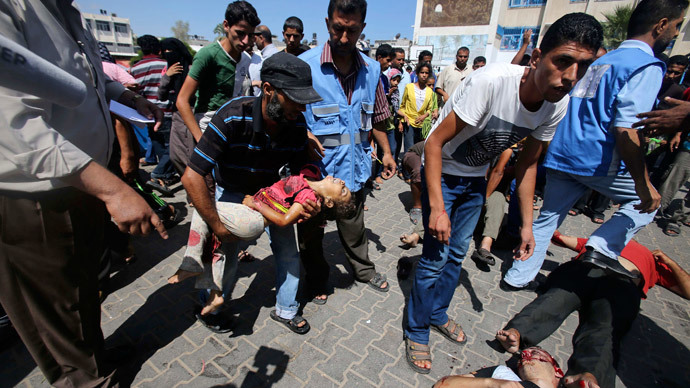 It is a moral outrage and a criminal act," UN Secretary-General Ban Ki-moon’s spokesman said in a statement. The missile fired by an Israeli aircraft hit the entrance to the school in the town of Rafah in southern Gaza Strip, according to Israeli health officials. 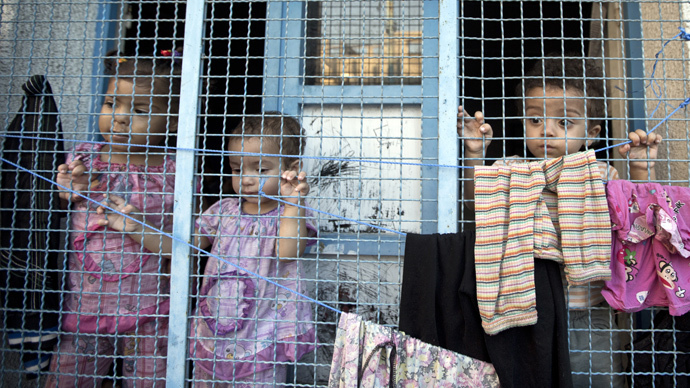 The school served as a shelter for some 3,000 Palestinians amid the ongoing violence in the region, as Israel continues its operation against Hamas. The UN has stressed that this was the third deadly attack on a UN school that shelters Palestinians since fighting broke between Israel and Hamas. "The Israel Defence Forces have been repeatedly informed of the location of these sites," Ban's spokesman said in a statement. "For this particular installation we notified the Israeli Army on 33 separate occasions that this school in Rafah was being used to accommodate the displaced, the last time only an hour before the incident," the United Nations Relief and Works Agency (UNRWA) said in astatement. #Rafah - #Gaza: We vigorously condemn today’s Israeli strike and find it incomprehensible that such violence has happened again. The Israeli military has admitted that IDF "targeted three Islamic Jihad terrorists on board a motorcycle in the vicinity of an UNRWA school in Rafah" and added it was "reviewing the consequences of this strike." The United States has said it was "appalled” by Sunday’s attack calling it “disgraceful shelling." Washington has called on Israel to do more to prevent civilian casualties, State Department spokesperson Jen Psaki said. 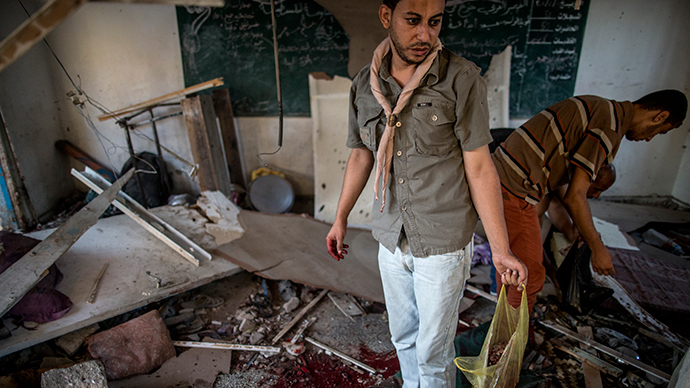 The US has urged for an investigation into recent attacks on UN schools. The area of Rafah along Gaza’s border with Egypt has been the scene of intensive bombardment over the weekend as Israeli troops retaliated for the alleged kidnapping Friday of a 23-year-old soldier, Hadar Goldin, by Hamas fighters. The IDF later said Goldin had been killed in action in the area, along with two other Israeli soldiers. 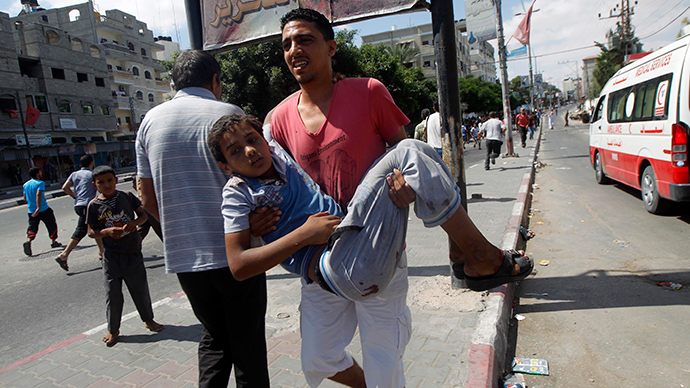 Palestinian health officials reported at least 30 fatalities on Sunday. The Palestinian Health Ministry said casualties have reached 1,830 killed and 9,370 wounded so far in Gaza since Israel launched its offensive almost a month ago. The dead include 398 children, 207 women and 74 elderly people, said Dr Ashraf al-Qedra, spokesman for the Palestinian Health Ministry in Gaza. 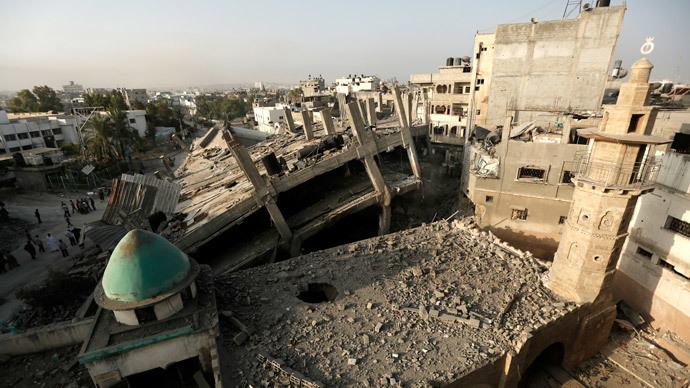 Last week Israel shelled the Jabaliya UN shelter, killing 20 people and sparking widespread international condemnation. Amid the growing worldwide protests against the Israeli military campaign in Gaza, Prime Minister Benjamin Netanyahu stated that his government will act“according to our security needs and only according to our security needs” in a speech Saturday. There were media reports on Sunday that the IDF may be withdrawing tanks from Gaza in a possible indication of a scaling down of hostilities. But the Israeli military later said the tanks were moved for redeployment.